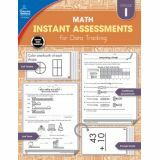 Tracking student growth in math will be easier and more organized than ever with Instant Assessments for Data Tracking. 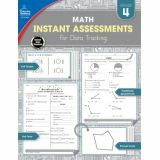 Designed to help you stay ahead, this series makes it easy for you to monitor and prove progress—one assessment at a time. 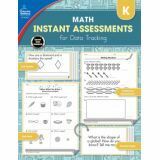 Enhance classroom data tracking for kindergarten math with instant assessments to record student growth. Tracking a student's growth in math is easier than ever with Instant Assessments for Data Tracking. 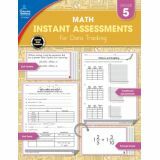 This series helps you stay ahead by offering a simple way to show proof of student growth—one assessment at a time! 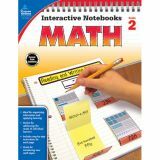 In Interactive Notebooks: Math for second grade, students will complete hands-on activities about place value, arrays, addition and subtraction, measurement, time and money, graphing, and more. 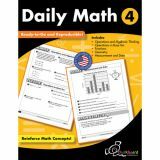 With the Math 4 Today book for second grade is the ideal daily resource for quick, standards-based math practice. The Math 4 Today book for second grade aligns with current state standards. Math 4 Today: Daily Skill Practice for second grade provides 40 weeks of learning activities for each day of the week. This math workbook for students only requires 10 minutes of review and practice each day, and it includes fluency activities, reproducible activities, and writing prompts. An assessment of the skills covered for the week is provided for the fifth day to help teachers easily monitor progress. 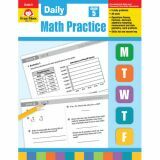 Math 4 Today: Daily Skill Practice for third grade provides 40 weeks of learning activities for each day of the week. This math workbook for students only requires 10 minutes of review and practice each day, and it includes fluency activities, reproducible activities, and writing prompts. 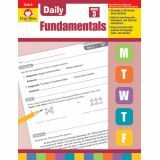 An assessment of the skills covered for the week is provided for the fifth day to help teachers easily monitor progress. 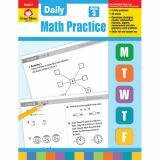 Strengthen essential math skills in 10 minutes a day with Math 4 Today for fourth grade. 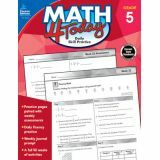 The Math 4 Today book for fourth grade aligns with current state standards. 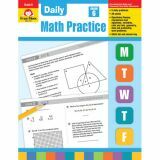 Math 4 Today: Daily Skill Practice for fourth grade provides 40 weeks of learning activities for each day of the week. This math workbook for students only requires 10 minutes of review and practice each day, and it includes fluency activities, reproducible activities, and writing prompts. An assessment of the skills covered for the week is provided for the fifth day to help teachers easily monitor progress. 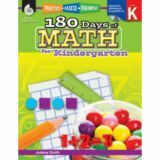 Build grade-specific skills in 10 minutes a day with the Math 4 Today book for kindergarten. The Math 4 Today book for kindergarten aligns with current state standards. 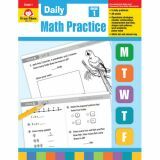 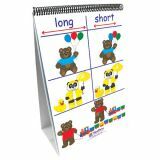 Math 4 Today: Daily Skill Practice for kindergarten provides 40 weeks of learning activities for each day of the week. This math workbook for students only requires 10 minutes of review and practice each day, and it includes fluency activities, reproducible activities, and writing prompts. An assessment of the skills covered for the week is provided for the fifth day to help teachers easily monitor progress. 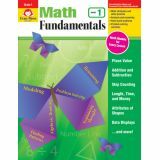 Comprehensive but not complicated! Math Fundamentals helps your sixth graders navigate the new math. Math Models and analysis questions, plenty of skill practice, and real-world problems guide students in thinking through and solving problems. Second-Grade Math Minutes features 100 "Minutes." Each Minute consists of ten classroom-tested problems of varying degrees of difficulty, integrating problem solving and basic math skills. 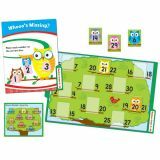 This unique format offers students an ongoing opportunity to improve their own fluency in a manageable, nonthreatening format. 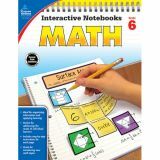 The quick, one-minute format combined with instant feedback makes this challenging and motivational assignment students will look forward to each day. 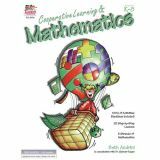 Students become active learners as they discover mathematical relationships and apply acquired understanding to complex situations and to the solution of realistic problems in each Minute. Third-Grade Math Minutes features 100 "Minutes." 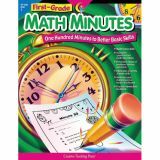 Each Minute consists of ten classroom-tested problems of varying degrees of difficulty, integrating problem solving and basic math skills. 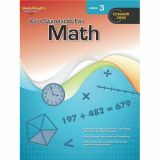 This unique format offers students an ongoing opportunity to improve their own fluency in a manageable, nonthreatening format. 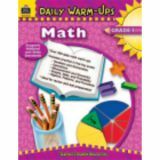 The quick, one-minute format combined with instant feedback makes this challenging and motivational assignment students will look forward to each day. 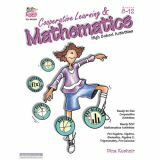 Students become active learners as they discover mathematical relationships and apply acquired understanding to complex situations and to the solution of realistic problems in each Minute. 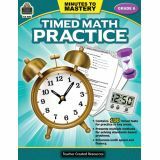 Take just one minute a day to quickly assess student progress in basic math skills! 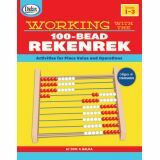 This book features 100 quick drill sheets to help students increase speed in math operations and strengthen problem-solving skills. 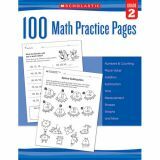 The 10 problems on each sheet can be done in one or two minutes and are a great warm-up to the daily math lesson. Eighth-Grade Math Minutes features 100 "Minutes." 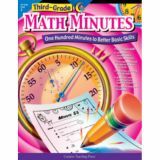 Each Minute consists of 10 classroom-tested problems of varying degrees of difficulty for students to complete within a one-to two-minute period. 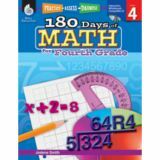 This unique format offers students an ongoing opportunity to improve their own math fluency in a manageable, nonthreatening manner. 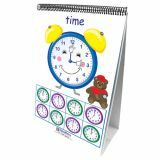 The quick, timed drills, combined with instant feedback, make this a challenging and motivational assignment students will look forward to using each day. Students become active learners as they discover mathematical relationships, apply acquired understanding to complex situations, and find solutions to the realistic problems in each Minute. Middle-Grade Minutes features 100 "Minutes" to help students build basic skills, increase speed in basic math operations, and integrate a variety of math skills. Each Minute consists of 10 classroom-tested problems of varying degrees of difficulty, integrating problem solving and basic math skills. 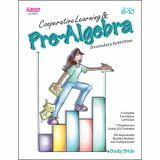 Students become active learners as they discover mathematical relationships and apply acquired understanding of complex situations and solutions to realistic problems. 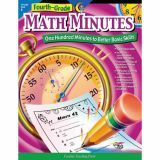 Middle-Grade Math Minutes features 100 "Minutes." 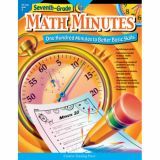 Each Minute consists of ten classroom-tested problems of varying degrees of difficulty, integrating problem solving and basic math skills. 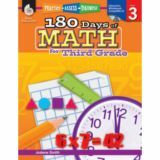 This unique format offers students an ongoing opportunity to improve their own fluency in a manageable, nonthreatening format. The quick, one-minute format combined with instant feedback makes this challenging and motivational assignment students will look forward to each day. 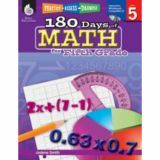 Students become active learners as they discover mathematical relationships and apply acquired understanding to complex situations and to the solution of realistic problems in each Minute. 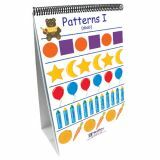 Simple and easy-to-use, this teacher resource for first grade teachers complements any curriculum. 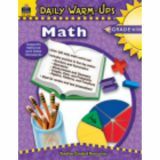 Set up a successful math workshop with this teacher resource for third grade. Simple and easy-to-use, this teacher resource for third grade math teachers complements any curriculum. 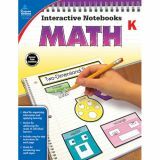 Math Workshop for fourth grade contains everything teachers need to implement the math workshop method. 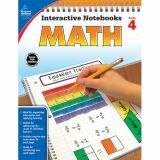 Simple and easy-to-use, this resource for fourth grade teachers complements any curriculum. 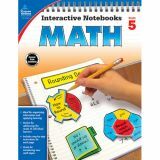 Implement the math workshop method with this math resource for fifth grade. 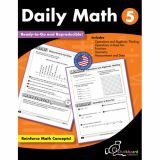 Simple and easy-to-use, this resource for fifth grade math teachers complements any curriculum. 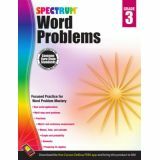 Improve problem-solving skills with this Spectrum® math workbook for critical thinking. 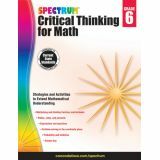 Spectrum Critical Thinking for Math guides children through problem-solving strategies. Give your child the ability to apply classroom skills to everyday scenarios with Spectrum Critical Thinking for Math. 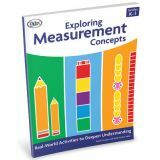 This workbook features detailed instructions, word problems, and reasoning questions to strengthen critical thinking while guiding children to demonstrate understanding of the concepts that support their answers. 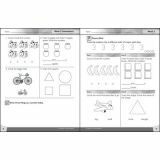 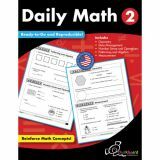 Featuring a completed answer key and a testing section, Spectrum Critical Thinking for Math helps children retain learned skills and teaches how apply the skills with confidence. 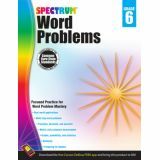 Spectrum's best-selling workbooks support skills and standards for classroom success. 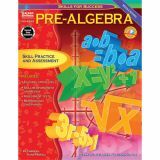 From subject-specific titles to test prep workbooks, Spectrum offers a variety of ways to enhance and enrich learning at home and in the classroom. 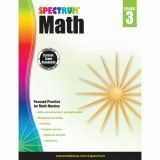 For all of your child's need, Spectrum has you covered! Help your child achieve success in and out of the classroom with a Spectrum® math workbook that improves critical thinking. 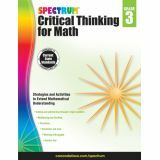 Spectrum Critical Thinking for Math helps children apply classroom math skills to real-world scenarios. 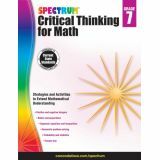 Spectrum Critical Thinking for Math provides problem-solving instruction, math reasoning questions, and word problems that encourage students to extend classroom learning to the real world. 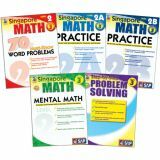 Complete with problem-solving instruction, reasoning questions, word problems, pretests, post-tests, and a completed answer key, this series helps children retain knowledge while introducing problem-solving methods for success. 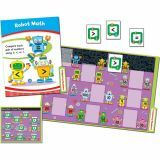 Providing comprehensive, grade-specific titles that encourages the skills and standards taught in today's classroom, Spectrum supports your child's educational journey every step of the way. Spectrum offers a variety of subject-specific practice to reinforce classroom learning, skill-specific titles to enhance educational concepts, and test prep titles to improve test-taking skills. Spectrum is here to help every child get ahead. Your third grader will apply classroom skills to the real world with the help of Spectrum® Critical Thinking for Math. 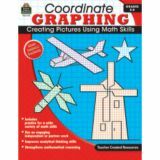 When children learn how to apply classroom learning to real-world situations, the sky's the limit! Spectrum Critical Thinking for Math improves your child's problem-solving skills with math reasoning questions, word problems, tests, and an answer key. The testing sections help your child review essential concepts, and the answer key features provides insight into various problem-solving strategies. 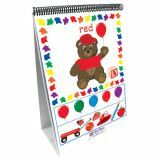 Whatever your child's needs, Spectrum is with you every step of the way. 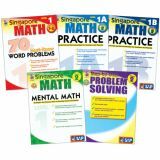 With a variety of subject-, grade-, and skill-specific titles, the award-winning Spectrum brand helps children get ahead and stay ahead with rigorous standards-based practice. Spectrum® Critical Thinking for Math strengthens your child's ability to apply classroom skills to everyday scenarios. 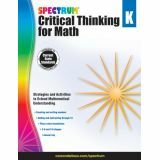 Spectrum Critical Thinking for Math helps fourth graders improve problem-solving skills. 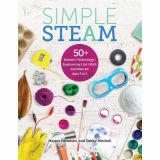 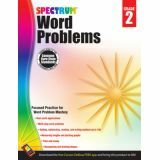 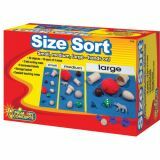 Filled with math reasoning activities, word problems, and detailed instructions, Spectrum Critical Thinking for Math guides children through problem-solving strategies and real-world application. 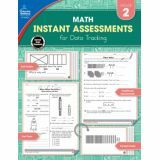 This series includes a testing section to help learners retain information and an answer key for insight into various strategies. 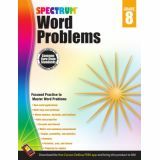 The best-selling Spectrum brand supports educational success every step of the way with comprehensive, standards-based workbooks for a variety of subjects, grade levels, and needs. 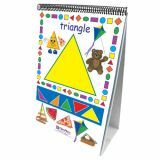 All workbooks, whether test prep or subject-specific, reinforce the skills and standards children learn in today's classroom, making Spectrum the best workbooks to help your child stay ahead! Spectrum helps students stay on top of skills and standards for classroom success. This award-winning brand provides comprehensive practice for various subjects, needs, and grades. 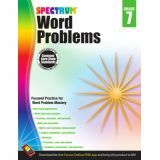 From test prep titles to skill-building workbooks, Spectrum supports your child's educational journey every step of the way. 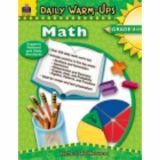 This Spectrum® math workbook challenges kindergartners to apply skills they learned to everyday life. 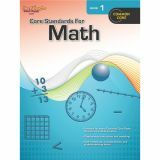 This workbook is aligned with current state standards. Spectrum Critical Thinking for Math helps extend classroom learning to real-world scenarios. 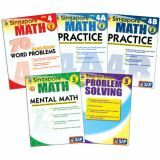 Packed with problem-solving instructions, math reasoning questions, and word problems, this series challenges children to think critically while building and applying math skills both in and out of the classroom. 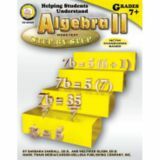 The testing sections help your child review and retain knowledge, and the answer key provides insight into different problem-solving methods and strategies. 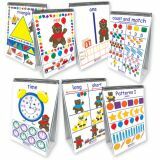 From early learning to middle grades, Spectrum supports the educational journey with comprehensive, standards-based practice. 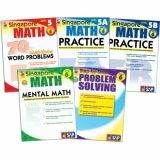 Each grade-specific title is designed to enhance and reinforce classroom learning while preparing children for the year ahead, test success, and skill mastery. 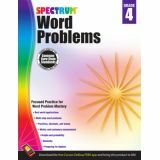 Whatever your need, Spectrum is with you every step of the way. 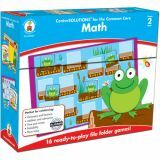 Enhance problem-solving skills and ensure math success with Spectrum® Math for grade 1. 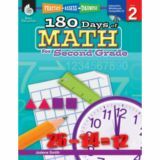 This teacher-loved series helps kids stay ahead in math by providing systematic and thought-provoking practice designed to increase in complexity. 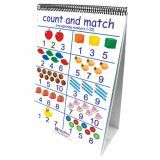 Spectrum Math for grade 1 keeps kids at the top of their math game using progressive practice, math in everyday settings, and tests to monitor progress. 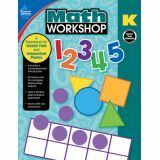 The math workbook covers addition, subtraction, composing shapes, comparing numbers, and taking measurements. Enhance problem-solving skills and ensure math success with Spectrum® Math for grade 2. 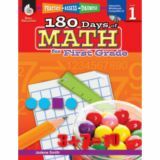 This teacher-loved series helps kids stay ahead in math by providing systematic and thought-provoking practice designed to increase in complexity. 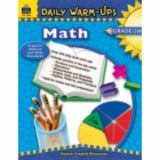 Spectrum Math for grade 2 keeps kids at the top of their math game using progressive practice, math in everyday settings, and tests to monitor progress. 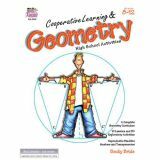 The math workbook covers addition, subtraction, identifying shape components, and using measurement systems. 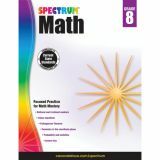 Enhance problem-solving skills and ensure math success with Spectrum® Math for grade 3. This teacher-loved series helps kids stay ahead in math by providing systematic and thought-provoking practice designed to increase in complexity. Spectrum Math for grade 3 keeps kids at the top of their math game using progressive practice, math in everyday settings, and tests to monitor progress. 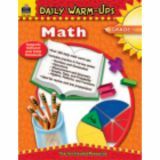 The math workbook covers addition, subtraction, multiplication, division, fractions, and presenting data. Spectrum Math for grade 4 keeps kids at the top of their math game using progressive practice, math in everyday settings, and tests to monitor progress. 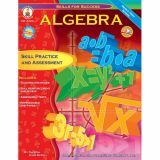 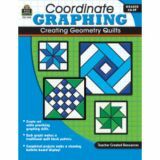 The math workbook covers multiplication, division, fractions, geometric figures, and preparing for algebra. 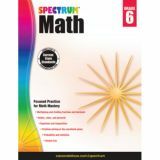 Enhance problem-solving skills and ensure math success with Spectrum® Math for grade 6. This teacher-loved series helps kids stay ahead in math by providing systematic and thought-provoking practice designed to increase in complexity. Spectrum Math for grade 6 keeps kids at the top of their math game using progressive practice, math in everyday settings, and tests to monitor progress. 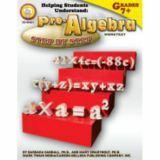 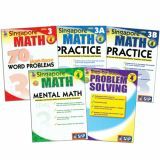 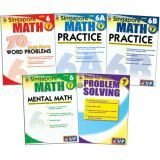 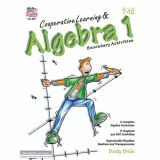 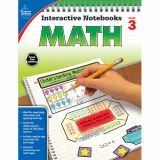 The math workbook covers multiplying and dividing decimals and fractions, complex measurements, and beginning algebra. 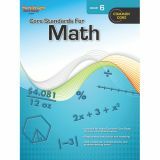 Enhance problem-solving skills and ensure math success with Spectrum® Math for grade 8. 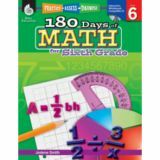 This teacher-loved series helps kids stay ahead in math by providing systematic and thought-provoking practice designed to increase in complexity. Spectrum Math for grade 8 keeps kids at the top of their math game using progressive practice, math in everyday settings, and tests to monitor progress. 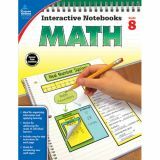 The math workbook covers rational and irrational numbers, solving equations, and interpreting statistical data.